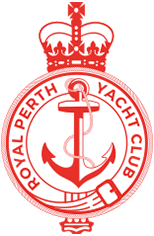 Royal Perth is one of the world's most prestigious yacht clubs. We can trace our origins back to 1841, just 12 years after Captain Fremantle arrived to establish the Swan River Colony, when a group of sailors staged a modest regatta to celebrate Foundation Day. History records further notable events in 1851 and 1859, and in 1865 this original group of pioneer sailors formalised the Perth Yacht Club. We are the third oldest in Australia after the Royal Yacht Club of Victoria and the Royal Sydney Yacht Squadron. Early regattas included yacht races and gig rowing races, gigs being narrow ‘clinker-built ships’ boats. Duck hunts were also popular among members. In 1880 a jetty was built at the Club’s original location at the foot of William Street, a two minute walk from the central business district. The Clubhouse was opened in 1889 when the State’s population was just 49,000. In 1890, on the recommendation of Governor Sir Frederic Napier Broome the Club received the title and prefix of Royal from Queen Victoria and at the same time it was announced that the Lords of the Admiralty had granted the Club the Royal Warrant to fly an un –defaced Blue ensign. It was a unanimous decisions at a General meeting in 1891 to dispense with the old blue PYC Burgee and adopt a new one. The design chosen was a white burgee or triangular flag bearing a red St George’s Cross and emblazoned with a St Edwards crown in the upper canton. In 1920, the clubhouse was extended and the Club formed the Royal Australian Naval Volunteer Reserve in Western Australia. By then, sailing was an established sport with other yacht clubs on the Swan River and at Fremantle, Albany, Esperance and Geraldton. The great ocean racing era at Royal Perth began in 1949 when three Western Australian sailing identities – Bill Lucas, John Fitzhardinge and Stuart Ward – sailed Corsair, the largest cruising yacht in the State at the time, to Sydney for the famous Sydney to Hobart Yacht Race. Delayed by bad weather, heavy seas, torn sails, engine failure, lack of charts and navigation equipment, they arrived in Sydney too late. Bill Lucas later took line honours in Panamuna in seven of the eight Cape Naturaliste offshore races in which she participated. In the inaugural Albany race in 1968, John Fitzhardinge set a race record that stood for 25 years, defying bigger yachts and technology until 1993. Their names remain with Royal Perth today. Bill’s son, Gordon Lucas, is a world champion and America’s Cup skipper; Stuart’s son, Steve Ward, built the revolutionary yacht Australia II which won the America’s Cup in 1983. Western Australian yachting and Royal Perth entered a new era in 1972 when Alan Bond brought the 12 metre yachts Gretel I and II for training purposes, and built Southern Cross for the 1974 challenge for the America’s Cup. He repeated that effort in 1977, 1980 and finally won the cup in 1983, ending a 132 year winning streak by the USA. 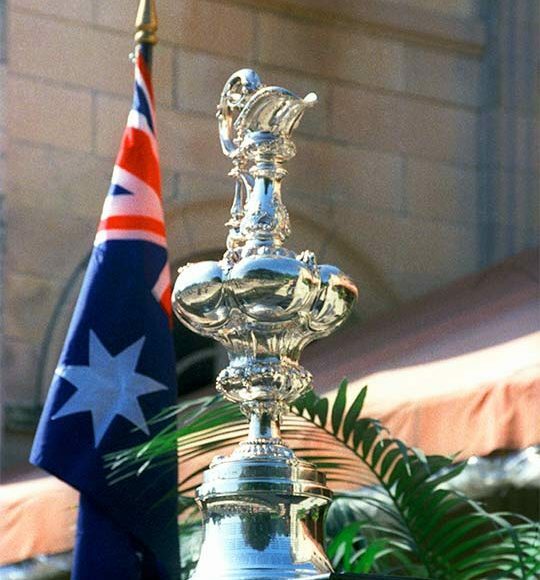 The 1987 America’s Cup, staged in Fremantle by Royal Perth, is regarded as the most successful ever in terms of event management, world-wide promotion, national and international goodwill and corporate success. In between, Royal Perth hosted the Parmelia Race, a 11,350 miles race, from Plymouth, UK to Perth in 1979, to mark the 150th anniversary of the State. Memorable performances over the past 20 years include Peter Cantwell’s record in the Admiral’s Cup with Police Car, the world two ton championship and Admiral’s Cup victories by Peter Briggs in Hitchhiker and the Admiral’s and Southern Cross Cup campaigns by Lawson Klopper in True Blue. 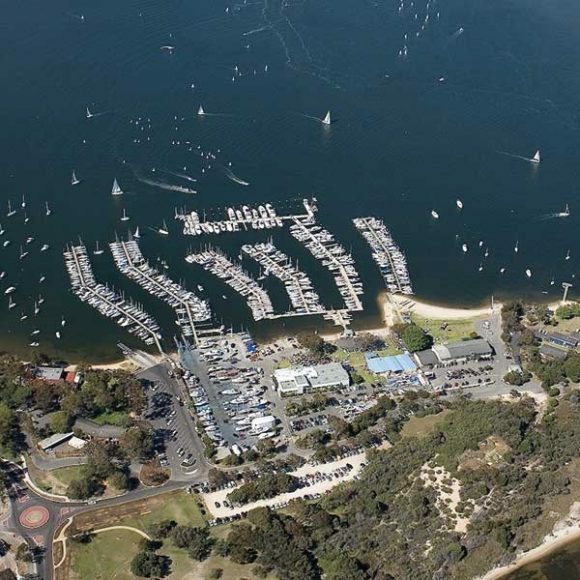 Royal Perth Yacht Club has continued to play an active role in both hosting International events and producing champions on the world sailing scene. The Sydney Paralympics in 2000, saw Royal Perth Yacht Club members Noel Robbins, Jamie Dunross and Graeme Martin win Gold in the Sonar Class, the 2008 Beijing Olympics saw Elise Rechichi and Tessa Parkinson win gold in the 470 class, the Paralympics the same year saw Rachel Cox win silver in the Skud 18 Class and Colin Harrison, Graeme Martin and Russel Boaden win bronze in the Sonar Class. This bronze medal was backed up by Gold at the Rio Paralympics in 2016. In addition the Club has numerous State, National and World Champions. The Club is proud to be home to Jon Sanders and his faithful Perie Banou II. 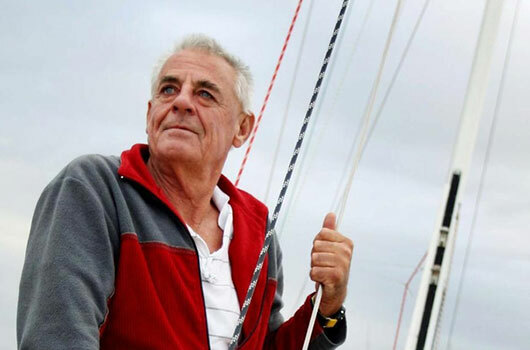 Jon currently holds the records for the longest distance ever sailed continuously by any vessel for his Triple non-stop solo circumnavigation from 1986 – 1988, sailing 657 days 21 hours and 18 minutes at sea. Jon’s latest endeavor, supported by the Club, is the completion of a 10th Circumnavigation of the Globe. 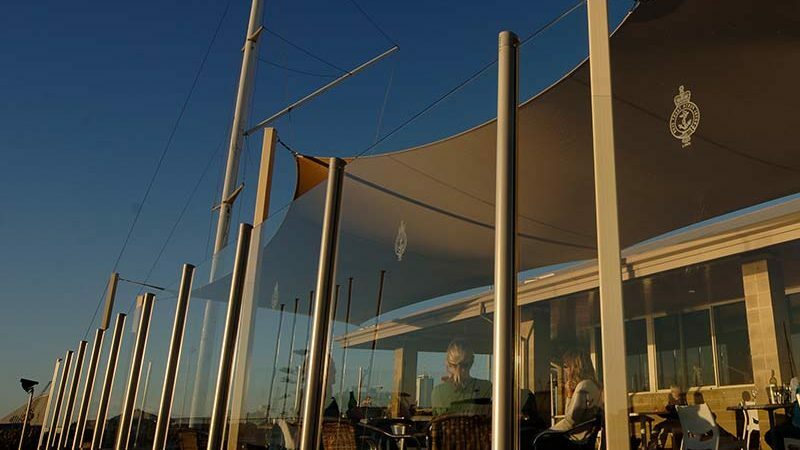 In 2011, the Club proudly hosted the Perth World Sailing Championships which was the principal qualifying events for the 2012 Olympic Sailing competitions. The event saw over 1500 sailors, more than 1000 boats representing 80 nations compete in Perth. To contact the Club Archivist please send an email to clubarchivist@rpyc.com.au.